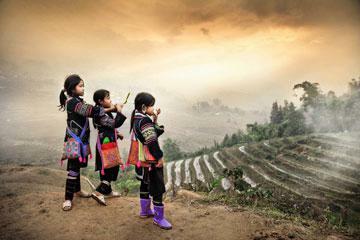 Sapa, one of the most attractive points in Vietnam , still has its inconvenient times that visitors should avoid. 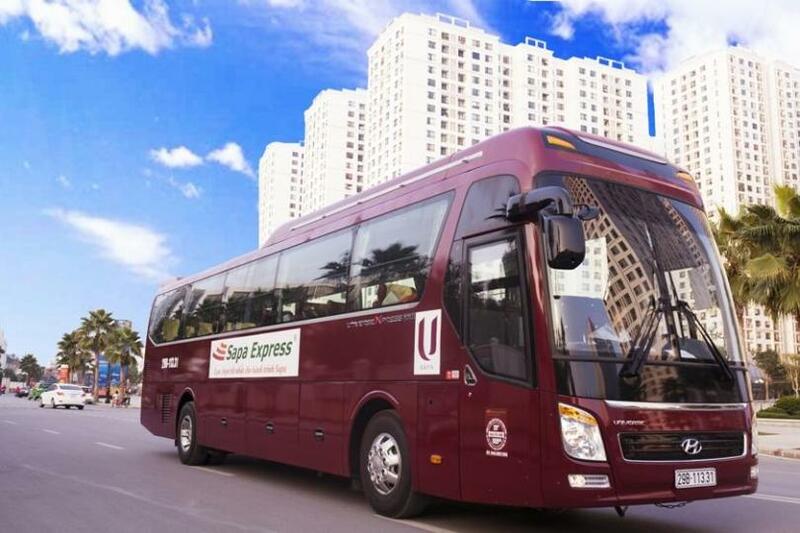 Since Sapa is a highland town, the way leading there is not easy to drive, especially in rain season, when the road surface is slippery and a litter bit dangerous. 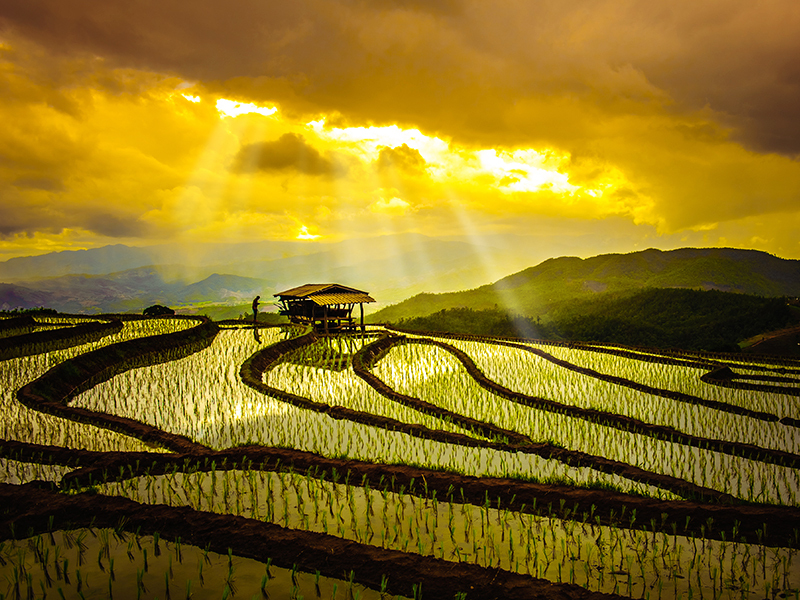 The wet season lasts for around 3 months, from June to September, and it is not a wise choice paying for Sapa tours at that time. The period from June to September also coincides with high domestic season so you may expect to see more Kinh than other ethnic minorities. 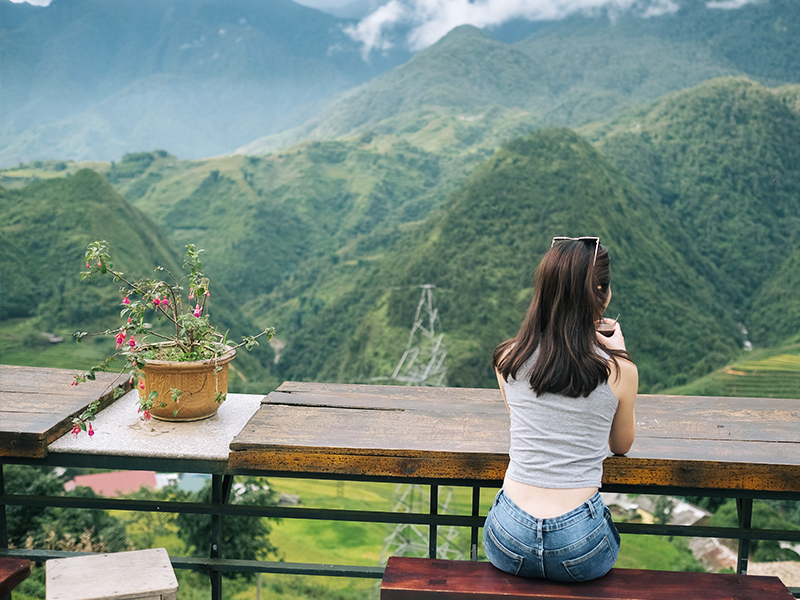 From September to mid-December, the weather is perfect for sight-seeing, photo-taking and camping trips, making it one of two best times to drop by Sapa. During this period the temperature ranges from 15 – 25 degree Celsius. It is not rainy season in Sapa so the trekking routes are dry and bear which means added opportunity to do longer treks, and possibly conquer Mount Fansipan. During the winter months, the temperature is much cooler and it is advised to bring a some warmer clothing (good waterproof jacket, sweater, wool socks). Also, during the winter months there are periods of light rain and heavy fog. 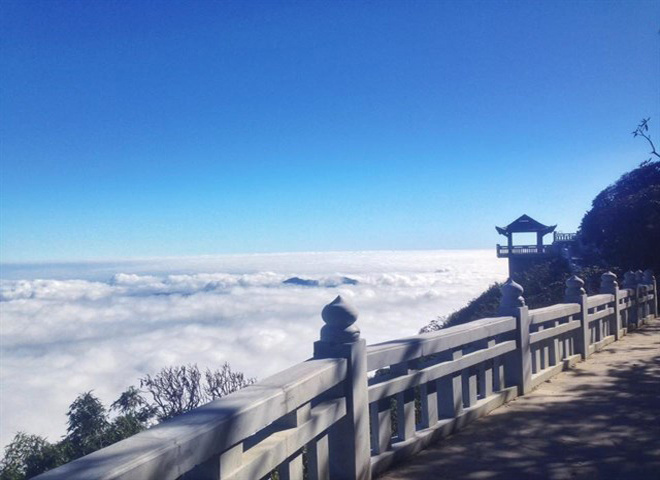 This puts Sapa in the clouds and allows for some fantastic photo opportunities. 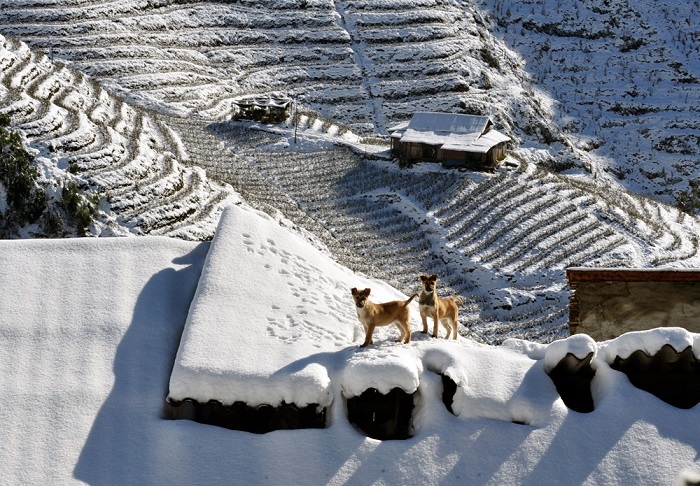 Each season offers something a little different – so here’s a guide for what to expect through the year in Sapa. 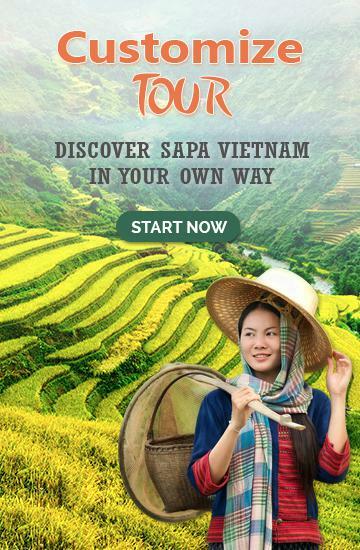 Well they say that getting there is half the fun – and it most certainly is an adventure taking the train from Hanoi to Sapa. Most visitors opt for the overnight train, of which there are a handful to choose from, so that you wake to your first glimpses of the spectacular scenery. 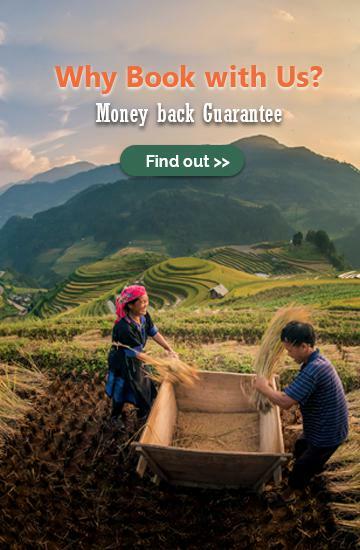 The line ends at Lao Cai from where you take a bus or minivan through the stupendous mountains – every available inch of which are covered in rice terraces. 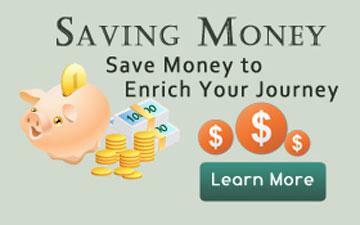 If you can, organize your own private transfer in a car so you can stop to take photos of the scenery along the way. 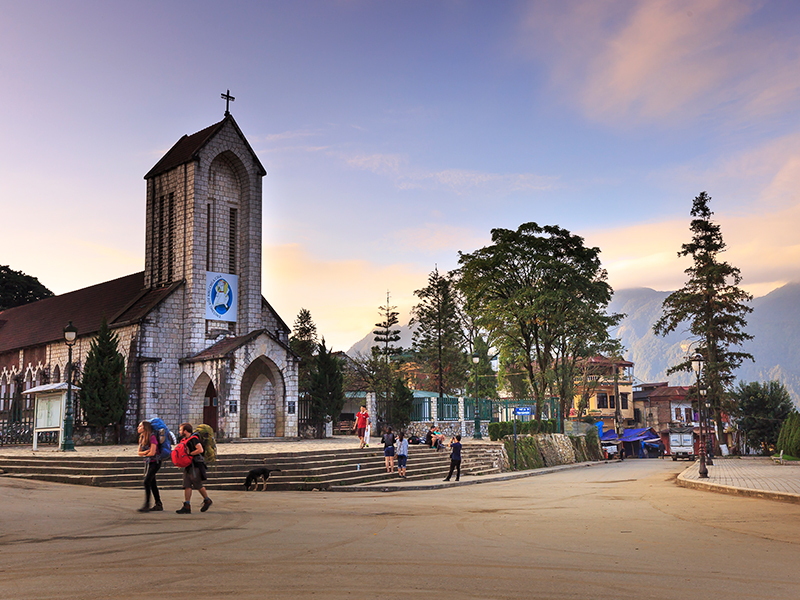 The town of Sapa has a picture-postcard setting, located in a valley with a small lake and surrounded by majestic mountains often enchantingly blanketed in mist. A room with a view is a must here so you can take in the changes to the vistas, especially how the clouds mesmerize with their continual flow into the valley and over the hills. When the clouds and mist decide to clear off, the views of the surrounding mountains are simply jawdropping. 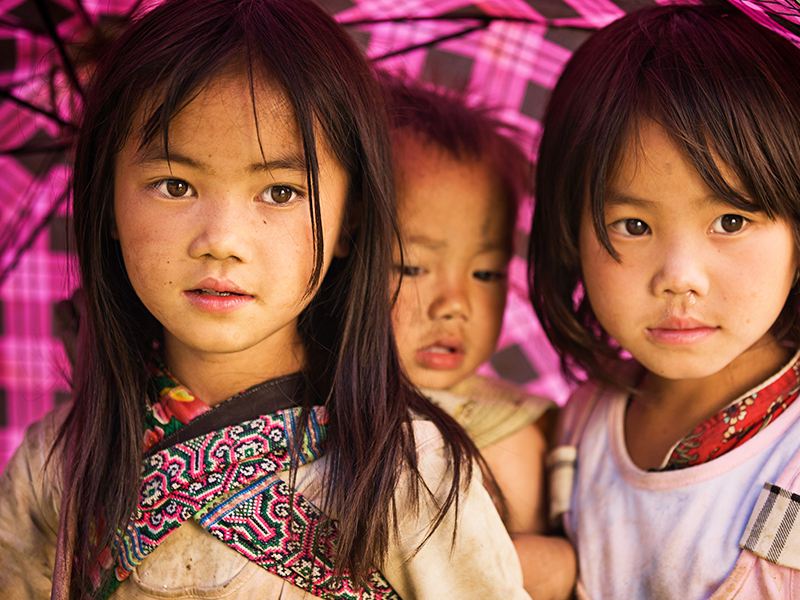 There are some eight different hill tribes that live in mountain settlements and villages around Sapa. 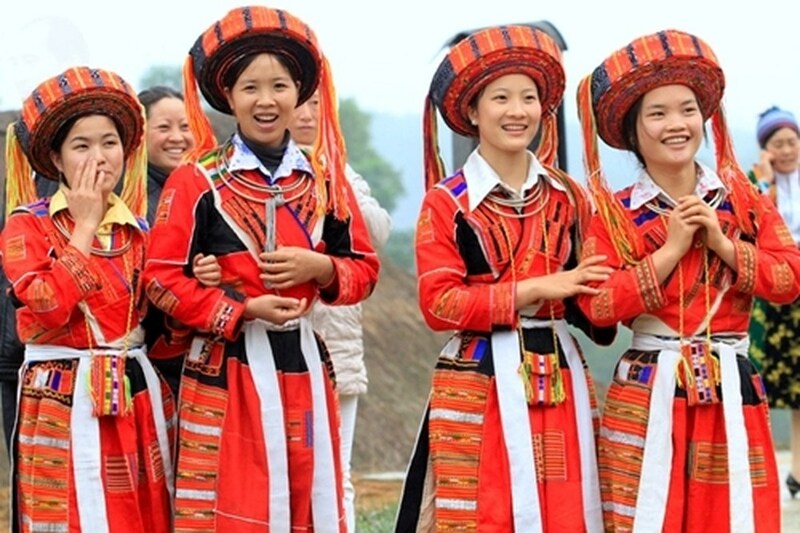 The Black H’mong is the most common of the ethnic minorities that you’ll see, the women easily identified by their black skirts and leg warmers, accented by flashes of silver from their jewelry. 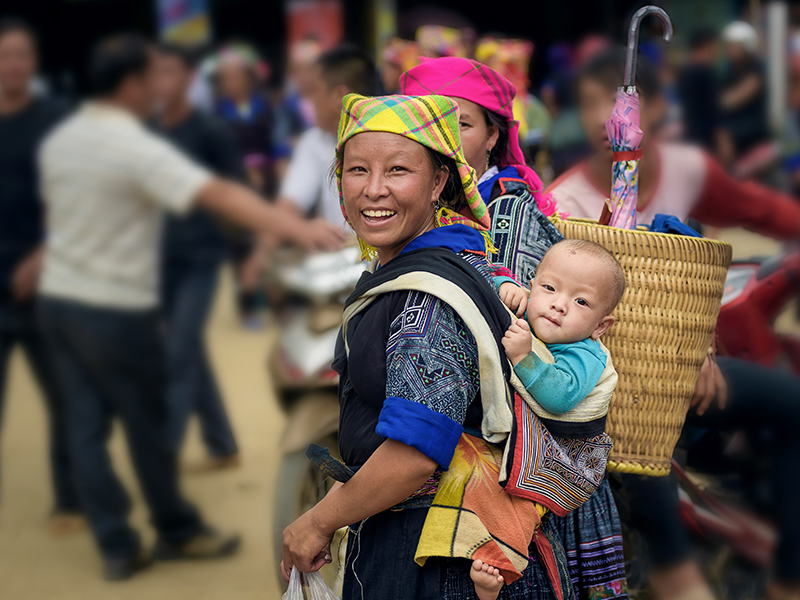 Many tribeswomen trek daily into Sapa to sell their handicrafts to tourists and each wears a different costume so you’ll soon be able to distinguish the difference between the Black H’mong, Red Dao, the Giay (‘Zay’), Xa Pho, White H’mong, and Flower H’mong. 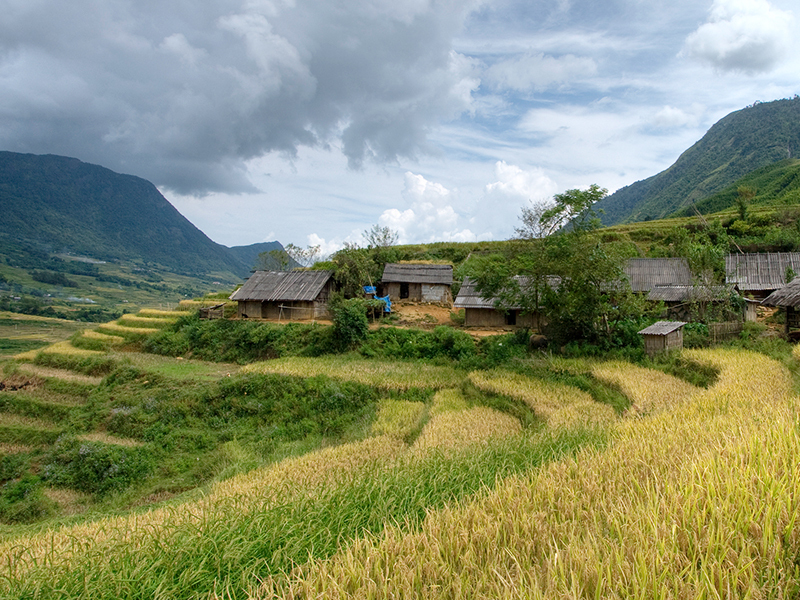 Depending on how long you stay, you can either do a short half-day trek through the Muong Hoa Valley or a two- to three-day trek, staying overnight in village homestays. 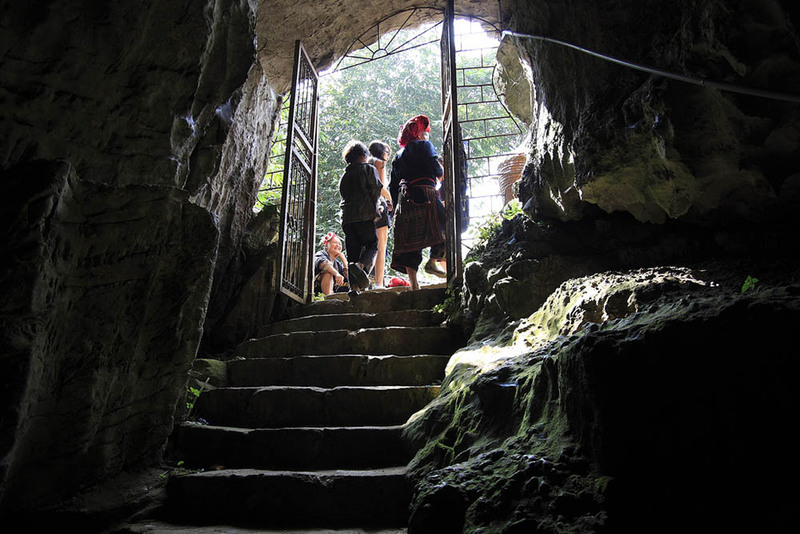 Part of the 30,000-hectare Hoang Lien National Park, the scenery, almost as soon as you head out of town, is bucolic. 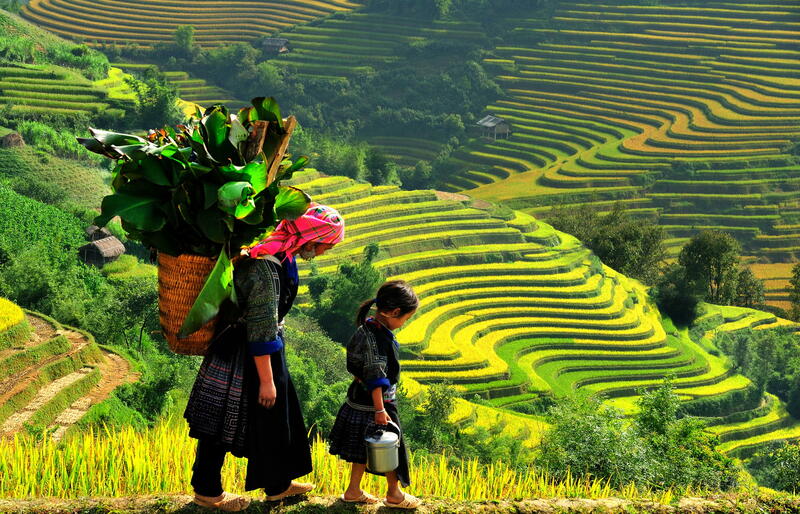 Rice terraces are carved into impossibly steep mountains, including Vietnam’s highest peak, Mount Fasipan (see below). 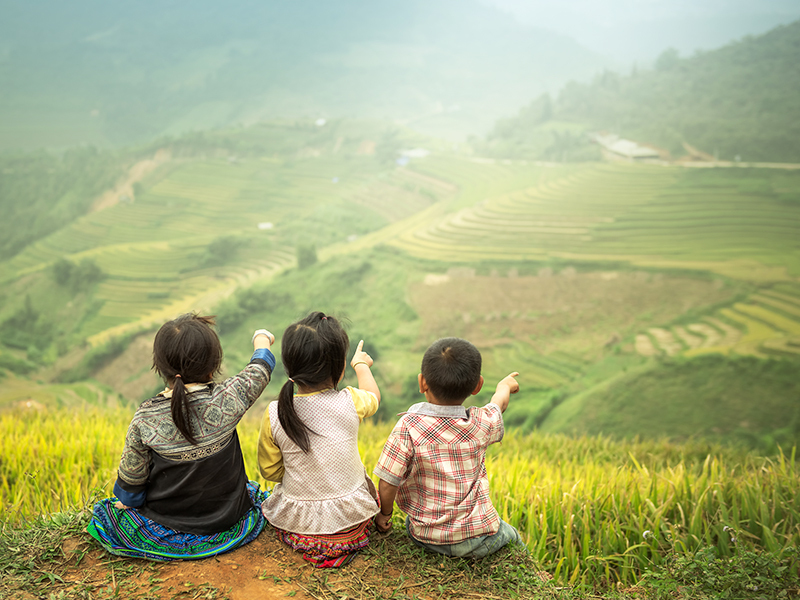 While you could do a hike independently, you’ll get much more out of the experience by going with a local guide and getting the chance to meet families in villages and gaining a glimpse into local life. Mount Fanispan is Vietnam’s highest mountain at 10,311 feet and a challenge many visitors come to conquer. It’s not mountain climbing per se, just very hard trekking in often wet and miserable conditions. The trek is usually done over three days, and if you get lucky you’ll have the most magnificent vistas in Vietnam to enjoy. If not, at least you can say you did it. Be sure to do this trek with a guide as they know the local weather conditions and will enrich your trek and keep it safe. The local Sapa markets are a feast for the eyes and the taste buds. Fresh produce, just plucked or picked that day, is in abundance while steam rises off giant pots of stock from which vendors ladle out endless bowls of soup. The market is also the place to buy souvenirs, with an array of colorful textiles, costumes and crafts to choose from, often being made right at the stall while the ladies wait for customers. 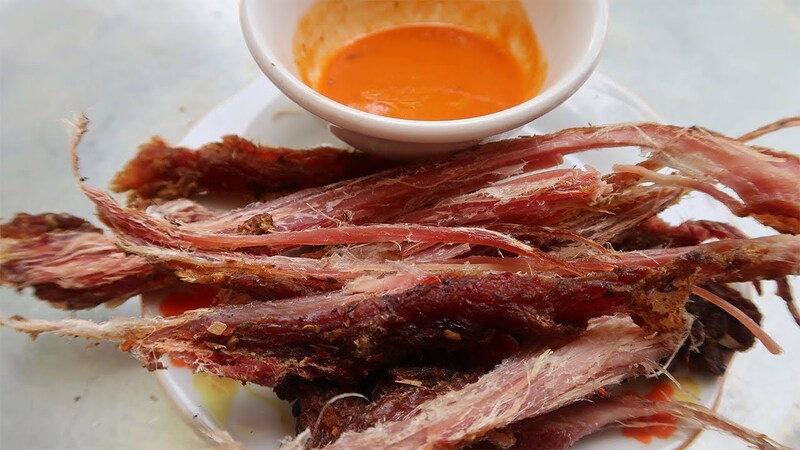 It’s one of our favorite markets in Southeast Asia. If you want to get in a little training before heading off on a trek, Dragon’s Jaw Hill, just above the main part of town, rewards visitors with some splendid views of Sapa and surrounding countryside. 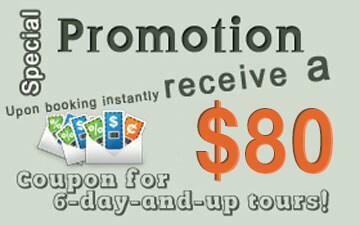 It’s a real tourist attraction, with an entrance fee, and there’s a lovely orchid garden. But it’s the views that really make the experience special – if you luck out and get a break in the weather, that is. 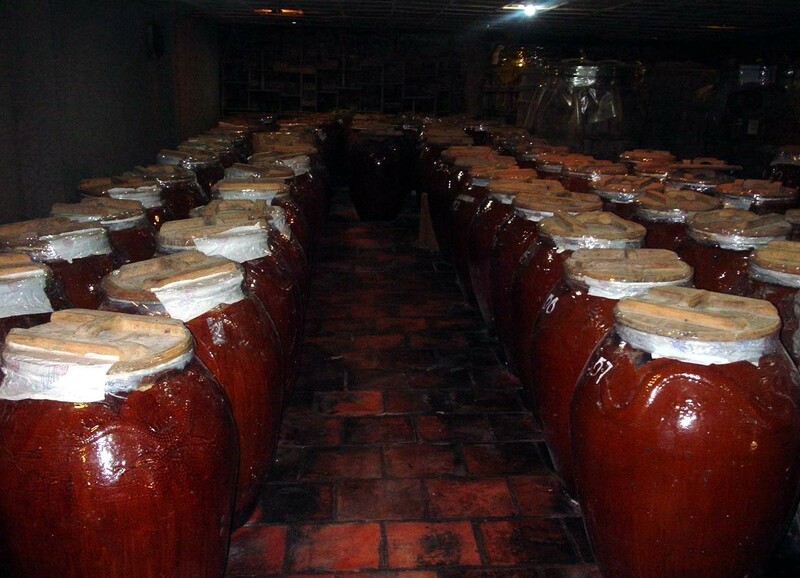 One thing that makes Sapa fascinating is its French colonial history. On a day when the mist encircles the steppe of the Sapa church, just off the main square, you could be forgiven for thinking that you’re in the French Alps. It’s this atmosphere that attracted the French here in the first place, thinking it would make a great summer retreat and a European style ‘wellness’ center. By 1924, the road from Lao Cai was completed, making a link from Hanoi possible overnight. By the 1930s the town had over 200 French buildings, running water, a sewage system, telephone and telegraph lines, and electricity. The complex history of the French presence here saw them eventually leave in 1949 – and bomb the town in 1952, resulting in many of the fine French villas being destroyed. 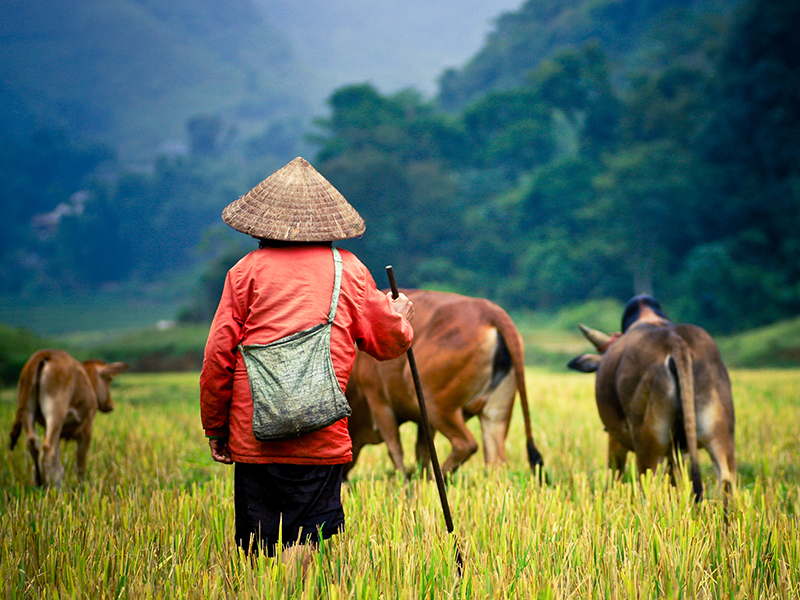 There are a lot of day trips that can be done from Sapa. 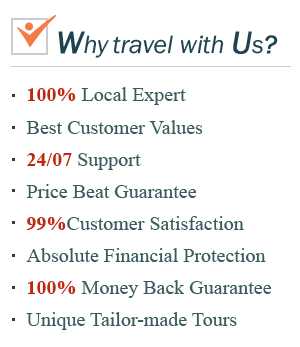 Indeed, enough to comfortably fill a couple of weeks in Sapa travel tours. 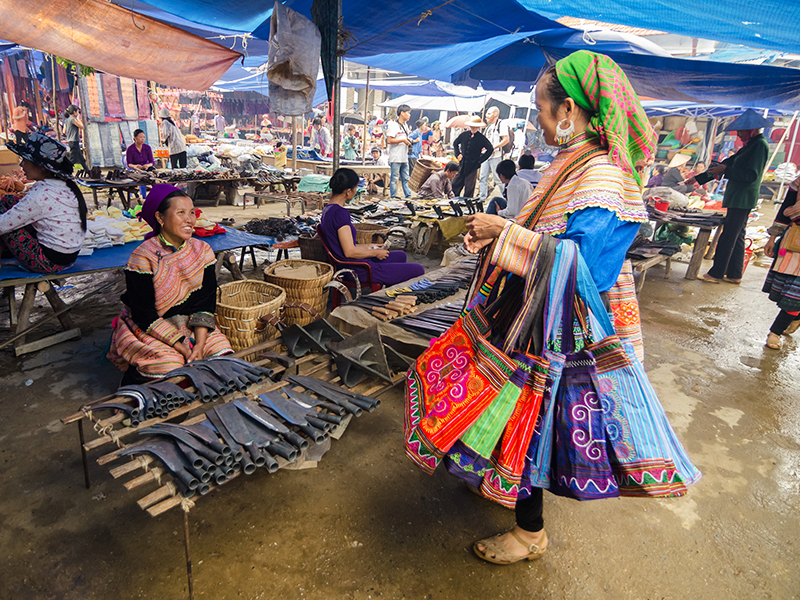 Local villages such as Cat Cat, Ta Phin, Sin Chai, Ta Van, Sa Seng, and Hag Da are all worth visits, especially if you time them with the days the villages hold their local market. 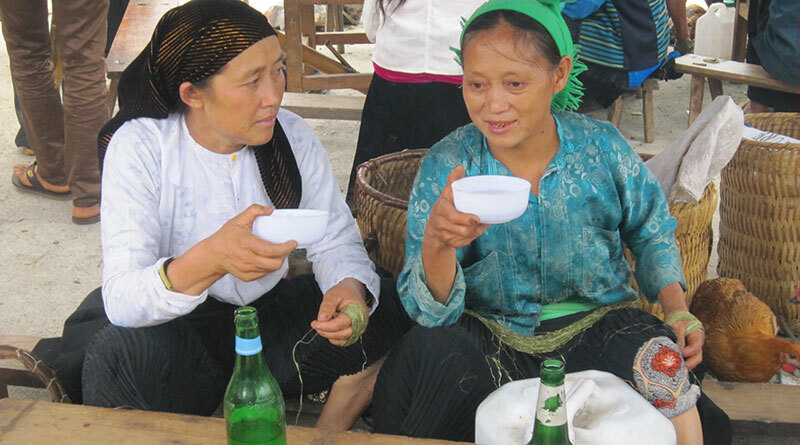 The ‘must do’ village visit is Bac Ha for its vibrant Sunday market when hill tribe minorities from surrounding villages come to trade their colorful crafts, fresh produce and livestock, do a bit of shopping themselves, and catch up with their friends. It’s a real social occasion. 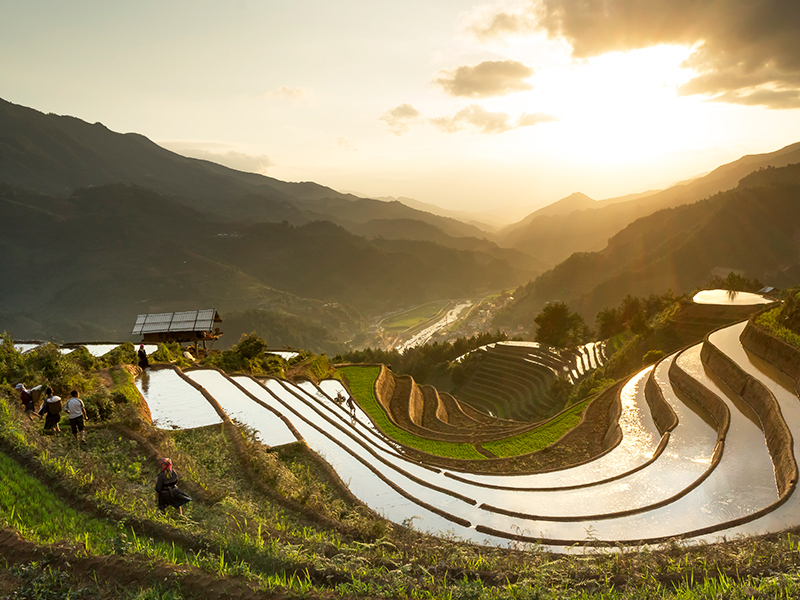 It’s a good idea to time your stay in Sapa so you can do a Sunday trip here.